Trees in a desert is an unusual enough sight but there is always the occasional oasis. Sometimes, though, the water dries up completely and given the right conditions, reminders of life can be left behing. 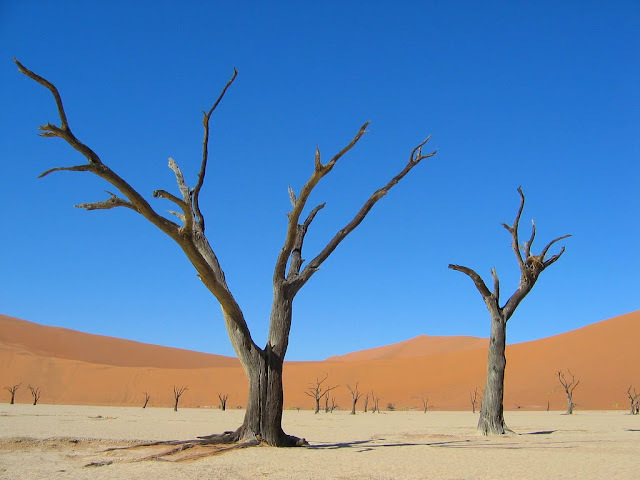 It is estimated that these acacia trees have been dead for more than nine hundred years. Frozen in time, their twisted and contorted branches immovable even against the occasional breeze, Sleepy Hollow comes, as it were, to the desert.